As I mentioned we have a lot of tomatoes here. 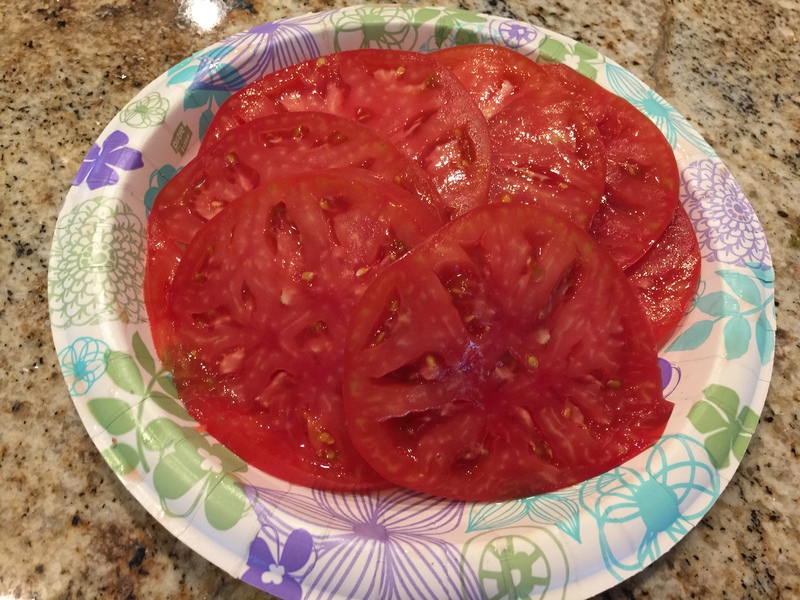 I am not sure what I am making for dinner tonight but tomatoes have figured prominently in breakfast and lunch. 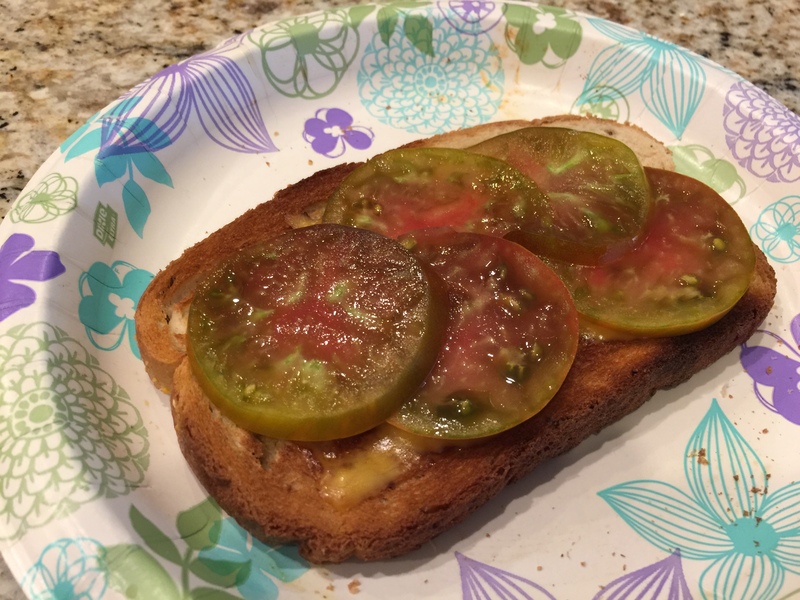 For breakfast I had a sliced Purple Cherokee tomato with a slim slice of sharp cheddar on a piece of toasted rye. Here’s a picture of one of her large tomatoes. We’ve used these for pasta sauce and on sandwiches so far. A note about our paper plate use. We have been using paper plates a lot since California went into a severe drought condition. We use a damp cloth to wipe them clean and then reuse them several times before disposing of them. It makes for way less water usage. These slices went into a couple of BLTs we had for lunch today. 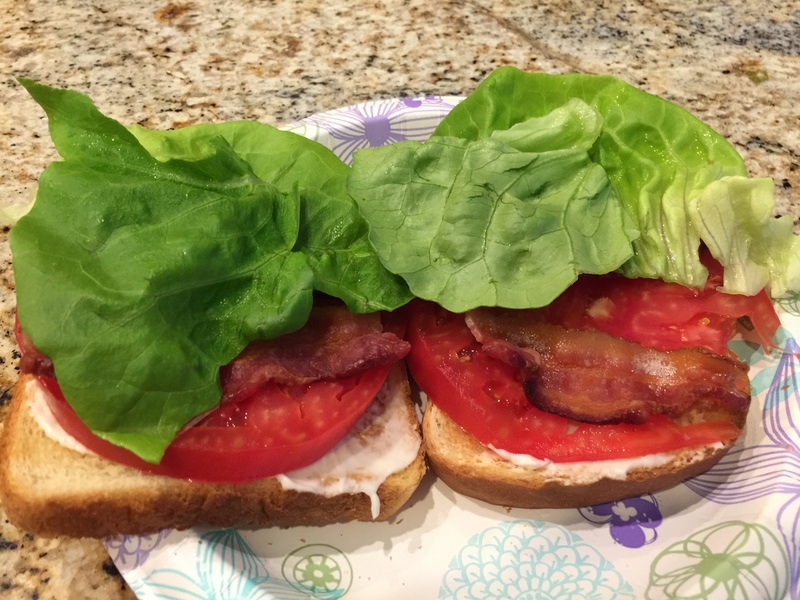 The perfect BLT for me is two pieces of bacon, a large slice of tomato, light mayonnaise, Boston lettuce, and toasted white bread. I eat them open faced with the lettuce as a hand-hold on top. Yum! This entry was posted in Vegetables and tagged bacon, cheese, tomatoes. Bookmark the permalink.